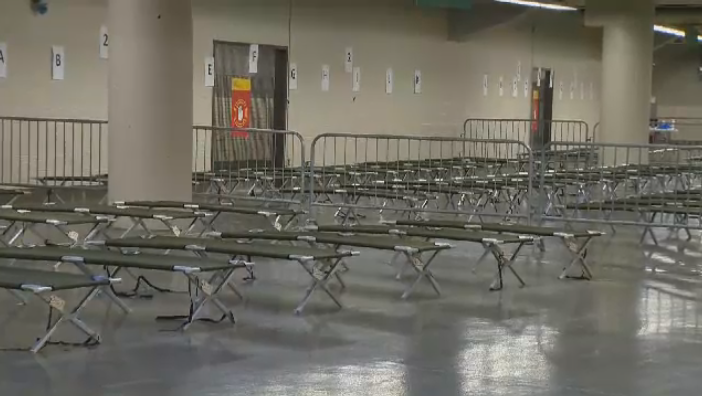 Montreal’s Olympic stadium is being transformed into a makeshift refuge to accommodate an influx of asylum seekers from the United States. Many of the refugees, including families with young children, are leaving the United States to avoid President Donald Trump’s threat to standing immigration policy and because they do not have the necessary paperwork. They had been living in the United States under an Obama-era policy that granted them temporary protected status in the wake of the 2010 earthquake. That status was originally scheduled to end this month, but that deadline has been pushed back until January 2018. In the first six months of 2017, officials noted almost 4,500 illegal border crossings across Canada—3,350 such crossings were made in Quebec. Border security agents estimate that some 200 migrants are processed at the Saint-Bernard-de-Lacolle border crossing every day, after being intercepted walking across the border somewhere other than an official border crossing. From January to June of this year, the top five countries of origin of refugee claimants were Haiti, Sudan, Turkey, Eritrea, and the United States. The CBSA has since set up a command post near the Lacolle border crossing to screen and control the influx of refugees. Under the Safe Third Country Agreement, because the refugees are making the request for asylum somewhere other than a border crossing, they must be processed by the Canada Border Services Agency and the Immigration and Refugee Board. If they had applied at a border crossing from the United States, they would be automatically refused because the U.S. is legally considered a safe country. All of the people intercepted at the border are transported to a CBSA office. If a claim is made, border officials have to review the admissibility of the application under the Immigration and Refugee Protection Act--sometimes this process includes interviews, a criminal background check, as well as an immigration and security check. They are also fingerprinted and photographed. 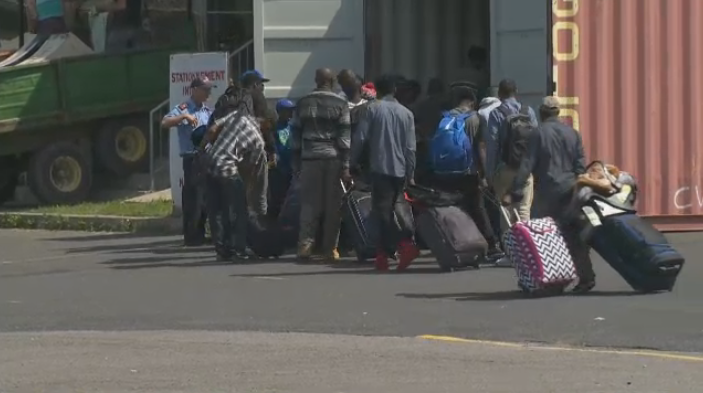 A spokesperson for the CBSA told CTV Montreal in an email that "no asylum seeker leaves the CBSA premises until a preliminary risk assessment and a summary assessment of the state of health are completed." Many of the refugees are expected to stay at the Olympic Stadium for a number of weeks while their papers are being verified. Between 100 and 450 beds will be installed inside the stadium, and accommodations like showers and food will be provided to the refugees. An Olympic Park spokesperson said the request came in on Friday, and that the shelter was set up in the span of 24 hours. This is the first time the stadium has been used as a shelter in this manner. Many of the other shelters in Montreal are full--overwhelmed by the increasing number of refugees crossing the border. Haitian Montrealers are commending the effort to make asylum seekers comfortable and safe during their stay here. "I'm feeling happy-- half the people try to flee the Middle East, and we accept them. So now it's our turn -- Haitians -- I'm feeling happy that Canada approved them, and want to try and help them get a better life," one Montreal-born man told CTV Montreal. "I will salute them, and I appreciate what they are doing for my people right now," he said. Mayor Denis Coderre issued a statement on Twitter, welcoming the refugees to the city, and promising full collaboration by Montreal officials. La ville de Montréal souhaite la bienvenue aux réfugiés haïtiens. Vous pouvez compter sur notre entière collaboration. Nap kin be fo. Quebec's Immigration Minister, Kathleen Weil, will hold a press conference Thursday morning to discuss the rise in asylum-seekers.